If the wardens and volunteers got a shilling for every time they were asked questions about the rabbits they’d be millionaires. Arguably with some antiquated currency but millionaires all the same! 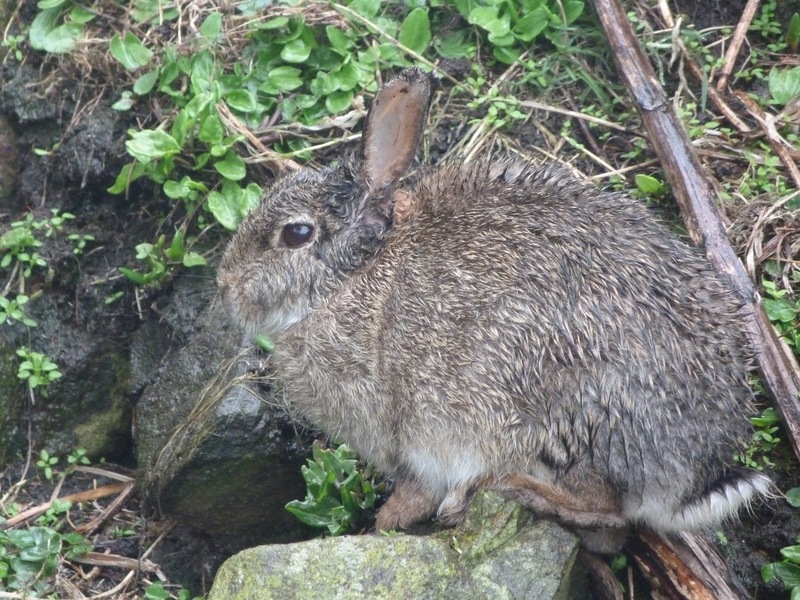 Rabbits are abundant on the Isle of May. The public are very quick to spot them. The numbers are high though the numbers vary year on year. 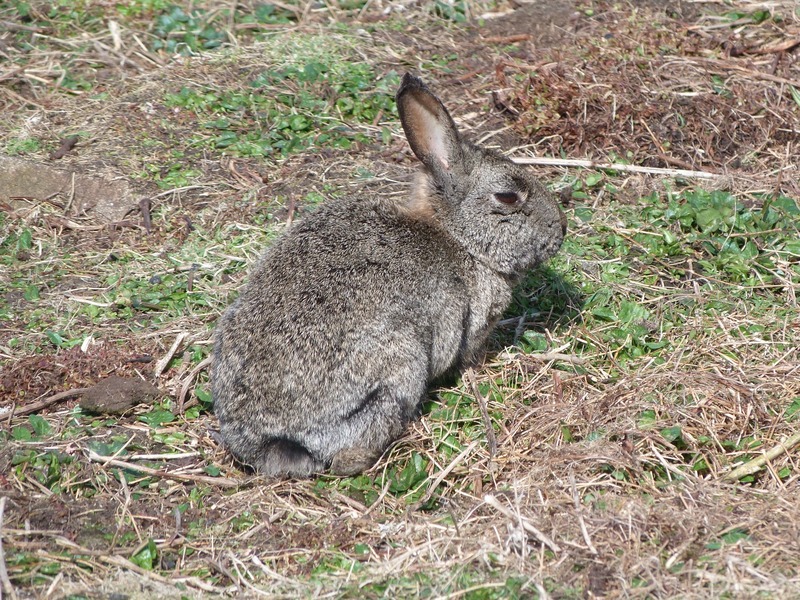 Rabbits have no real predators on the island allowing them to thrive when food is plentiful. Odd Greater Black-backed Gulls will take a few when they are just out of the burrow and a little naive and the occasional visiting buzzard will take the odd adult but generally they can carry on in relative safety. Food availability controls rabbit abundance. The only places Rabbits are not found on the island is on the Maidens to the south and the Mars rocks to the north. The Maidens are accessible to rabbits at low tide but it is unlikely that they would go out there as there is just a small patch of vegetation for them to feed. There is no vegetation on The Mars. Rabbits are known to have been on the island since 1329 but may well have been bought over by earlier settlers. They were kept in managed warrens for many years but they slowly spread throughout the island. These days none of the island occupants eat the rabbits but occasionally they are used for therapy by the researchers. Though the island is green with campion, thrift, sorrel and chickweed, the rabbits preferred food is the short grass that grows on the paths and outside the visitor centre. These small shoots will be very nutritious. Rabbits on other island have been known to eat seaweed but our rabbits have not been recorded doing this. Their diet on the island also consists of what we put in the compost which is mostly ground coffee! The final fact is the most common asked Rabbit question. Do the rabbits effect the puffins? The answer is yes but in positive way. Rabbits keep the vegetation down. If the sward was too rank, Puffins would find it difficult to excavate their burrows and their island range would be restricted. This can be seen as there are a number of scientific enclosures that are monitored to see what the sward would be like without rabbits. Puffins have even been noted taking advantage of areas where the spoil has come out of the rabbit burrows. These areas offer easy digging. This can be seen along The Tarn Nick. I enjoy watching the rabbit about the island. I cannot imagine the island without them. When you come and visit please take time to look at these important island green keepers. Never mind the rabbits..do you want anything from anstruther tomorrow?